An enclosed announcers/viewing section and state-of-the-art sound system and satellite radio ensure a premier experience for show committees, exhibitors and spectators. 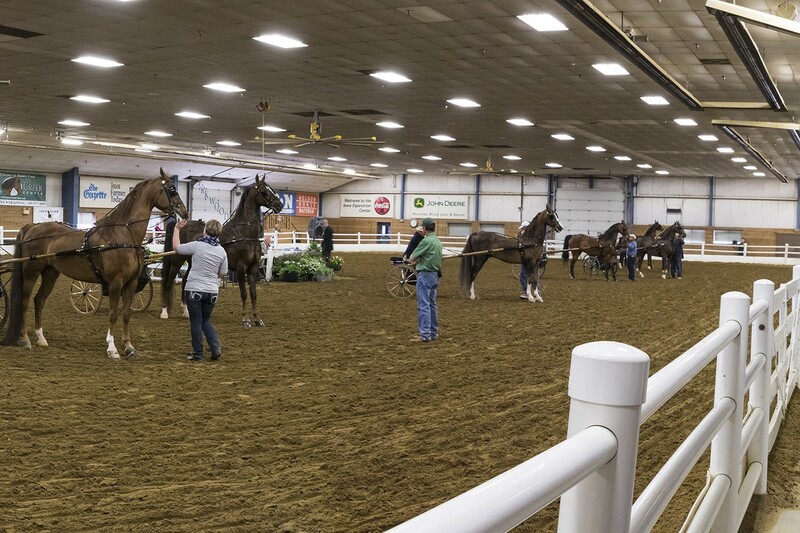 The fully heated, abundant space allows for year-round shows, demonstrations and clinics. 100 x 200 ft. Performance Area/Riding Space. Our Outdoor Arena is 130 x 300 ft. and is equipped with lights and sound. 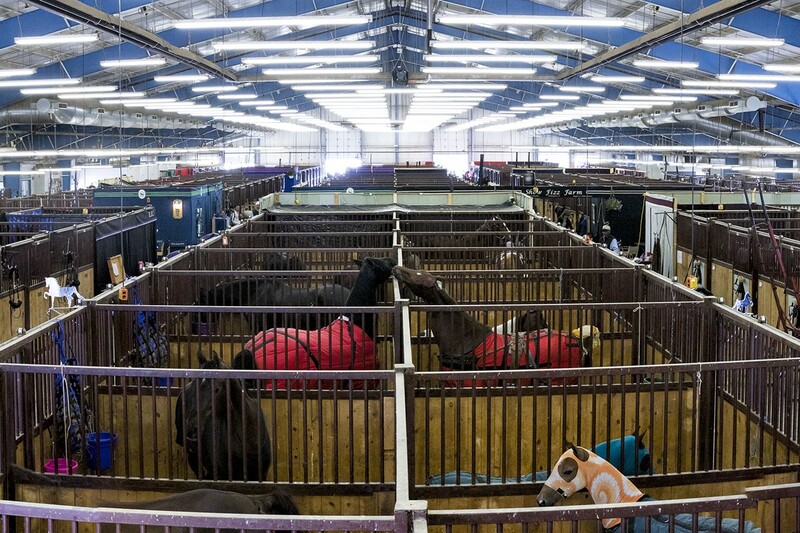 Our Stall Barn features 210 10 x 10 ft. stalls with rubber mats, 10 warm water wash racks, a show manager's office, restrooms and concrete alleys. 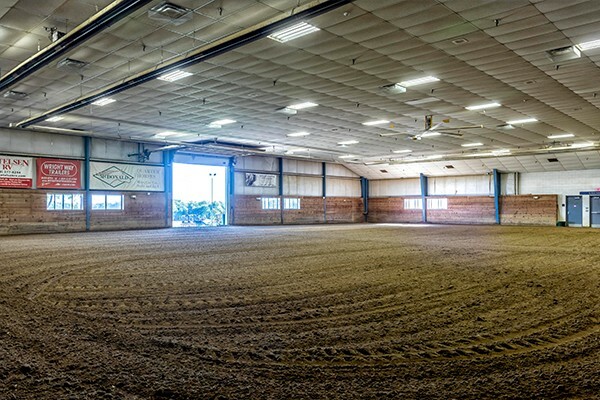 The large indoor Warm-Up Arena is 88 x 120 ft. and connects directly to our Indoor Show Arena. North Barn features 37 wooden stalls with 2 warm water wash racks. More than 7 acres of adjacent parking for cars, trucks and trailers. Exhibitors, judges and spectators will enjoy the modern food service area with expanded menus and spectator bleacher seating for 300 guests. 52 overnight camp sites, with electrical hookup, are located on the west side of the barn complex. There are also 4 shower rooms available for campers. Barrels, poles, timing equipment, jump standards and trail equipment including poles, bridge and gate. 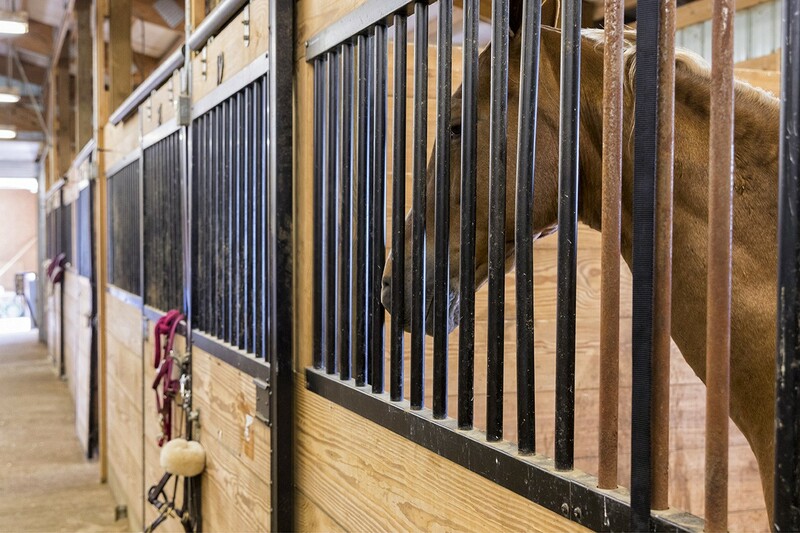 We host events nearly every weekend of the year and are proud to be the equine facility of choice in the Midwest. 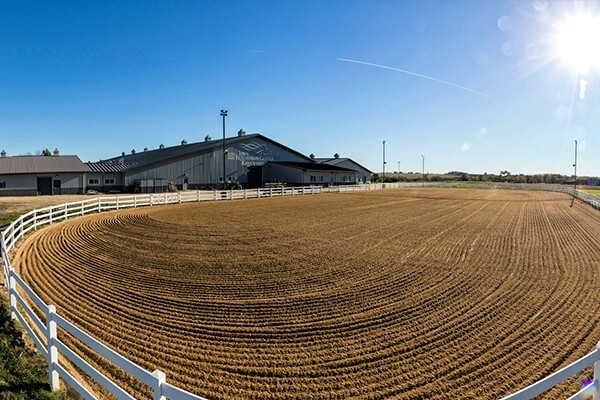 Please contact us to discuss hosting your next event at the Iowa Equestrian Center. Join our email list and be the first to know about Iowa Equestrian Center updates and upcoming events. Ted and Darlene TurnerTurner Ranch, Inc.